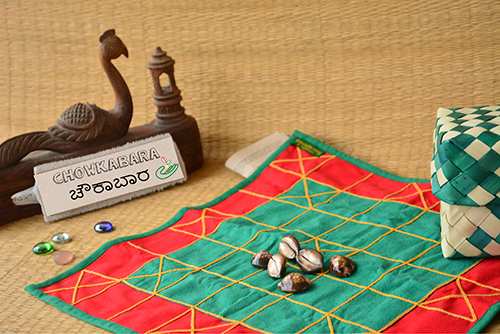 A game of chance, Chowkabara is the quintessential get-together activity that suprasses all age groups and generations. This version of the game is presented in a 7 x 7 grid, on a beautiful embriodered layout. It comes with 4 sets of colourful pawns and 6 cowrie shells.